The world of video games is, admittedly, one I’m not too familiar with. But I have brushed up against the world of video game music a time or two, most notably the time I went to see Kitty come through town on tour with Anamanaguchi. The music I heard from the other bands on that bill was what is also known as “chiptune”–peppy, hyperkinetic dance music played at least partially by 8-bit sequencers of the sort that created the indelible soundtracks of every classic Nintendo game you (or I guess your uncle, you young whippersnappers) grew up playing for three hours after school every day. Chiptune’s the sort of thing that I’m sure at least half of you are going, “wait, this exists?” about right now. But the kids who love it REALLY love it, and I’m sure a lot of them are already really excited about what’s going down at Fallout this Saturday night. Chances are, people are planning to divide their time between the stage and the many games MAGFest is planning to pack the playing area of the venue with–yes, one of the big attractions of this night is that there’ll be a popup arcade appearing inside Fallout. Classic games originally released on systems like Nintendo, Sega Genesis, and Super Nintendo will dominate, though they’ll have games from all eras including the ever-popular Mario Kart 64 (there’ll even be a tournament for this last one, so all you Mario Kart junkies, start practicing now). But there’s a ton of really wild music hitting the stage this night too, so if, like me, you’re way more of a music person than a video game person, rest assured that entertainment aplenty is still easily had. Where out-of-town awesomeness is concerned, you’ll get everything from Wilmington’s D&D Sluggers, who create a hybrid of soulful indie ballads and straight-up 8-bit beats; to San Francisco’s A_Rival, who’ve actually composed soundtracks to modern 8-bit video games and have a sound that resembles the sort of weirdly heavy-rockin’ tunes you enjoyed on childhood games like Double Dragon II and Street Fighter. The biggest local highlight is an0va, whose complex, melodic tunes use 8-bit instrumentation to create the sort of surprisingly emotionally-driven sounds you find in some corners of the math rock scene. And there are a whole lot more performers on this eight-hour bill, plus a ton of video games to keep you occupied during between-band setup. 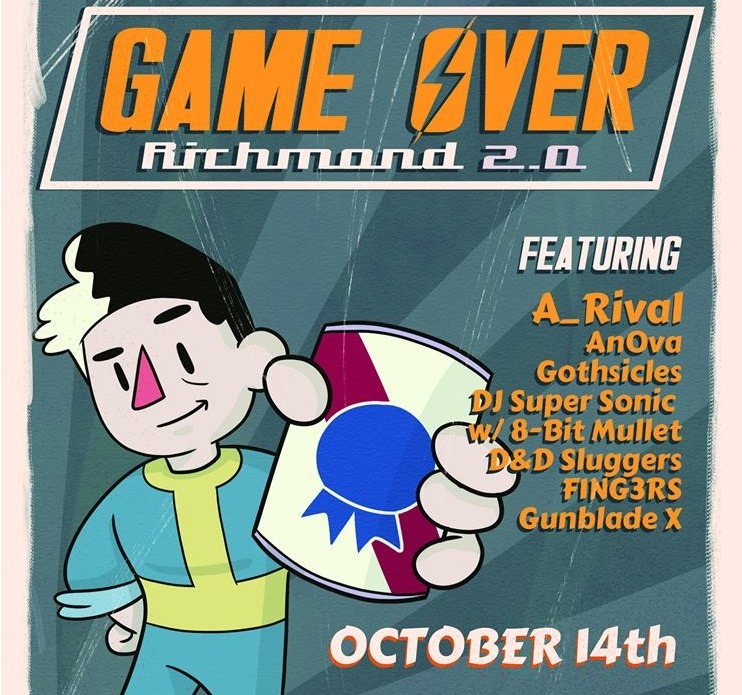 Dust off your old controller and limber up those fingers for a night of chiptune insanity and video game triumph. It’s time for the return of America’s reigning champions of the black metal genre. Wolves In The Throne Room may have thrown us all off with their 2014 album, Celestite, and it’s veer into the wild world of dark ambient drone. However, they’ve returned to the ripping metallic riffage that won all of our hearts originally on brand new album Thrice Woven, and I’m sure I’m not the only one breathing a sigh of relief. Wolves In The Throne Room set themselves apart from the many Scandinavian bands who made black metal a force to be reckoned with back in the 90s by finding their own twist on those bands’ frequently-sketchy-in-practice interests in returning to a simpler, more primal connection to the earth (why do so many people end up bringing racism into the mix when they go this route? It’s really gross). 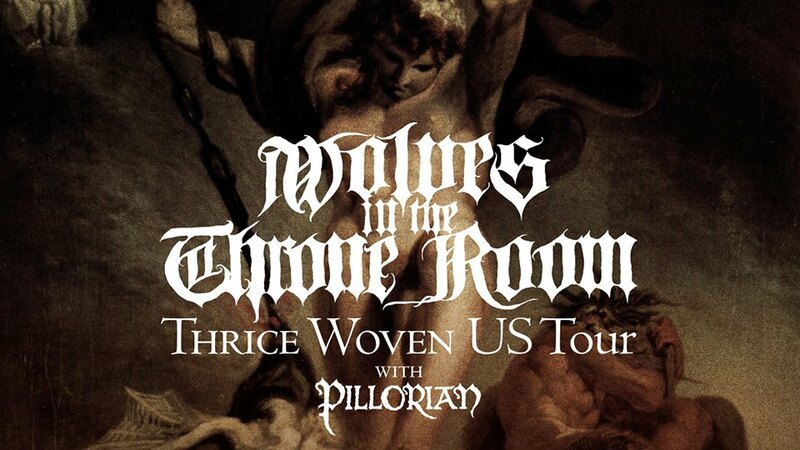 With Wolves In The Throne Room’s music, the Weaver brothers and their compatriots attempt to make a more universal connection through their homeland, the US Pacific Northwest, where there are plentiful rainstorms, foggy mountains, and shadowed forests to haunt, without all that pesky “tribal purity” garbage getting in the way. On Thrice Woven, the band returns to the dark, foggy sounds of the forest primeval, which they so effectively evoked on earlier classics like Two Hunters and Celestial Lineage. They’ll be bringing this sound to Richmond tonight at Capital Ale House’s Downtown Music Hall, of all places, and if nothing else, you can rest assured that this show will not get as messy as that time you saw Watain at Brooklyn Bazaar or whatever. They’ll be joined by Pillorian, a new Pacific Northwest black metal concern with connections to Agalloch and a melodically-infused black metal sound. Don’t miss out on this one. The fulfillment of some long-gestating potential is upon us this night. Sammi Lanzetta, who I’ve had my eye on since the early days of her now-departed alt-punk trio, Venus Guy Trap, is releasing her debut EP on high-profile local label 6131 Records, and this show is a celebration of its entry into the world. For Avery is four songs of the incredible voice, sharp lyrical wit, and excellent songwriting talent that has had me paying attention since the first time I saw her perform in a living room in front of a bunch of tipsy teenage punks. Starting the record by snarling “I would rather slit my throat than be stuck in a house with you” at some random misogynist, she spends the next four songs veering between venom-dripping fury and touching vulnerability. The latter is particularly well-documented on “Anxiety Olympics,” which features the immortal lyric “I talk too much and I’m scared of everything” (I definitely know that feel). With a backing band featuring some talented usual suspects from local projects including Imaginary Sons, Lanzetta’s more than ready to take on the world with her brand new solo record, and she’s bound to make this show tomorrow night at The Camel a blast of power and excellence. She’s got some powerful compatriots signed on as well, from the secretive yet buzzed-about new rock n’ roll project Piranha Rama (don’t look now but I think Tim and Chrissie are in this band too) to excellent Harrisonburg alt-psych duo Illiterate Light, who must make that trip down 64 at least twice a month these days. 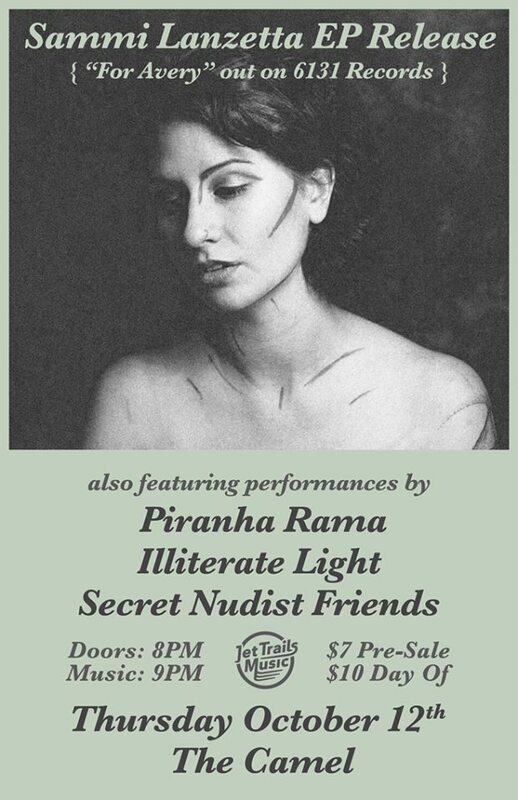 Secret Nudist Friends kicks things off, and while I know nothing about this band beyond their name, I can’t pretend I’m not intrigued. Oh OK, I know one more thing–they’re from Philadelphia. Even more intriguing. Come to this show, get a copy of Sammi’s new EP, check out all the other rad bands on the bill, and make your Thursday the perfect start to the three-day weekend you’ll have if you call in to work Friday. You know you want to. There’s a lot of really killer heavy fuzzed-out rock n’ roll coming out of Scandinavia these days, a trend it seems was probably kicked off back when the Hellacopters and Turbonegro ruled the roost up that way. 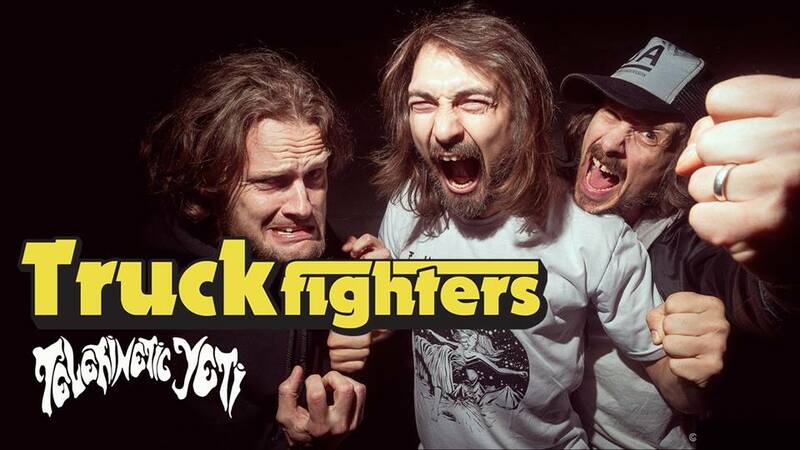 Truckfighters came together in Sweden just after the turn of the millennium, and quickly established themselves as the sort of groove merchants easily able to get the wheels on your Camaro turning at a high rate of speed. Someone once called this sort of stuff “high octane bong rock,” and I can’t argue with that. But what Truckfighters have done on their latest album, V, is intriguing precisely for the ways that it steps outside that whole paradigm to expand their sound and add in the sort of psychedelic space that a lot of other Swedish bands (see Dungen) operate in. So these days, this band has even more to offer. You can expect plenty of headbanging as well as floating through space during their performance at Strange Matter this Friday night, though, so don’t get too worried. And just in case you needed any further headbanging in your diet, fear not–there’s a whole slate of openers with riffs aplenty to get you rocking out. Iowa riffmasters Terminal Yeti are on tour with Truckfighters, and have a kind of Monster Magnet-ish psychedelic fuzz-metal style going on. Local openers Gritter are just about to release their fourth album, Nobody Cares, and should have plentiful new doom-laden NOLA-style jams on hand for you. Up-and-coming locals Prayer Group are dispensing some pure Mudhoney-style fuzz-grunge to kick the night off. Wear your bellbottoms for this one. This is the second local release party Jet Trails Music has brought to us this week (they were also behind the Sammi Lanzetta one, I should probably have mentioned that at the time but I write these really fast), and it’s just as big a hit as the first one. The new Long Arms LP, Young Life, sees veteran local songwriter James Menefee continuing to hone his craft, for some fine results. If his revived teenage project, Fun Size, is the band where he indulges in his love for Jawbreaker and Gameface, then it’s Long Arms that get all his Springsteen and Westerberg tendencies. So yeah, this is a slightly different flavor, musically speaking, but the taste is just as sweet. And straight up, the new Long Arms is sweet as hell. It mingles mid-period Replacements vibes with some early alt-country sounds that make me think of prime early Jayhawks tunes, and maybe even the first couple Son Volt albums. 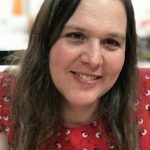 If you’re as into that as I am (and if you’re not, you should be), this is the release party for you! Early copies of the Young Life LP will be available, too, so bring some extra cash, because this’ll be your only chance to get it before the November release date. Psychedelic alt-rockers Ladygod open up, and with their own LP growing very near on the horizon, this is a good chance to learn just what you’re in for from this hazy crew of tunesters. Folk-blues troubadour Justin Jones gets things started off on a smooth note. Get there. Here’s something cool that I didn’t know about until I got a hot tip through the ol’ email box (keep em coming, folks!). Ryan Azada is a solo artist with a Memphis hometown, but he’s recently come to Richmond to stay, and this is his first show as an official hometown musician. He’s about to rerelease his last EP, Weird But Cool, on Trrrrrash Records, and also has a new EP called Make You Run coming out in November. Make You Run features a full band, but Azada often performs as a solo acoustic artist, and this should be that sort of gig. There are some Elliott Smith vibes coming off the acoustic tracks I’ve heard, while the electric ones make me think more of Conor Oberst’s loudest and best moments. 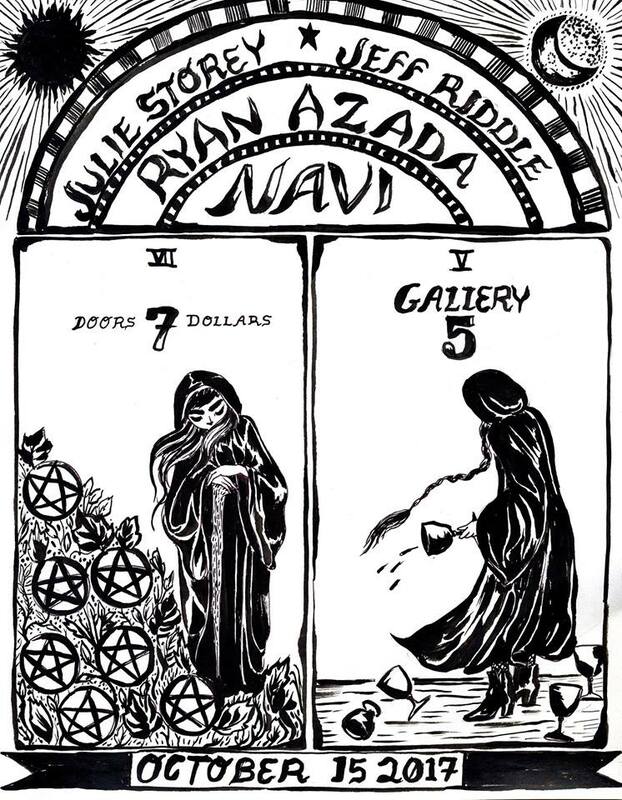 Azada is touring with Jeff Riddle, who normally fronts a Philadelphia band called The Holy Mess. That band has a propulsive melodic punk energy, but you can see how Riddle’s songs could translate to a solo thing. Chances are, for an acoustic gig, his set’s gonna be pretty loud. Navi will also bring the volume, and disrupt this mostly-solo-acoustic sort of gig with their trademark math-metal noise-rock–a sound you don’t get to hear that much these days what with John and Kyle being so busy with other projects. Take advantage of this rare opportunity! Doll Baby frontwoman and killer solo artist in her own right Julie Storey kicks off the night. Should be excellent. Don’t blow it. Here’s an unusual pairing that intrigues me enough to qualify this show for the column all by itself. Austin Lucas and Ryan Singer are on tour together. One’s an acoustic performer of the sort I’d typically label folk-punk. The other’s a comedian. Yeah, isn’t that wild? “The Crooner and The Clown,” they’re calling the tour. My interest is definitely piqued. And while I’ve been hearing the name Austin Lucas for years now, I haven’t checked out his music in quite a while, and it seems he has further grown as a vocalist, to the point that he totally merits the label as a crooner. It’s not just his voice that’s the attraction, though–his music has a high-lonesome old-time folk feel even as it clearly reflects the influence of the Bloomington punk scene, where he originally got some attention. Ryan Singer is a stand up comedian, and I for one have found his jokes quite amusing, and enjoyed his appearance on WTF with Marc Maron last year. Not to be a cliche, but he’s a very funny guy. And if nothing else, his set will certainly break up the steady run of live bands we all see night after night, right? Plus he’s on tour with a folk-punk singer, so that’s interesting enough right there. Crystal Pistol majordomo Saw Black will bring his acoustic indie tunes to us as part of the local support, with the opening shot of the evening being provided by new Crystal Pistol solo artist Owlrare and his surprisingly deep voice. This one should be both fun and moving, so you definitely don’t wanna miss it. 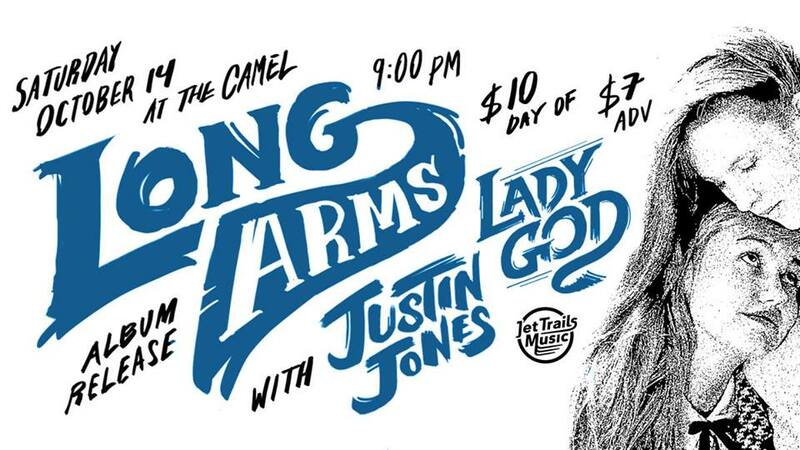 One good folk show deserves another, but unlike the last, this one is not folk-punk but straight-up folk. 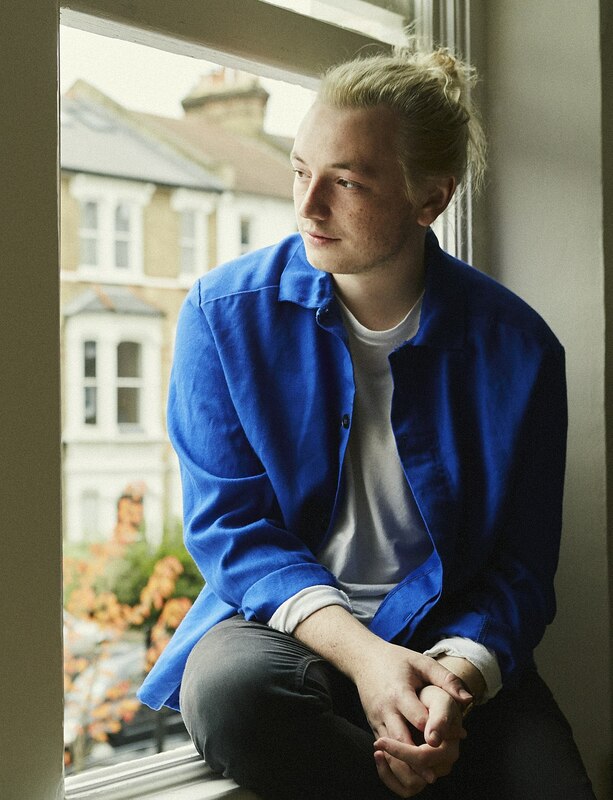 Lewis Watson is a British singer-songwriter who’s explored full band sounds but seems to perform most often as a solo artist. Since he’s so far from home these days, I’d be highly surprised to see him show up to the Camel Tuesday night with a full band, but hey–you never know. Regardless, you’re in for some beautiful tunes, as his dulcet vocal tones and emotionally-drenched melodies are indelibly beautiful and will soak deep into your bones as you watch. Local sensation Angelica Garcia is a great pairing for this British singer. She’s got a bit more of a swagger and snarl than Lewis Watson, but she’s another singer with a strong style and some real emotional resonance, and what’s more, she’s grabbed a lot of attention lately, so it’s always good to catch her at a relatively low-profile local gig. If things carry on in current fashion, you may not get too many more chances for that kind of thing. Make the most of it while you can.